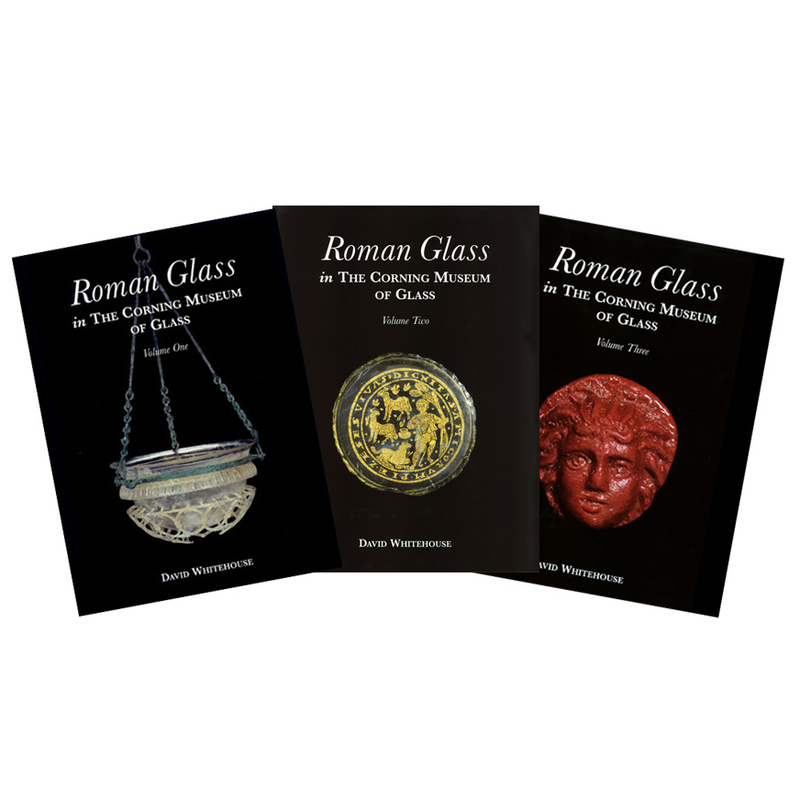 This bundled offer includes all three volumes of "Roman Glass in The Corning Museum of Glass." They present more than 860 objects from one of the world's most comprehensive collections of Roman Glass. Volume One discusses objects formed by casting or pressing, "color-band" vessels made by casting and blowing, cameo glass, undecorated objects formed by blowing, blown pieces with picked-up or blobbed decoration, and objects with cut, engraved, and wheel-abraded decoration. Volume Two focuses on objects decorated or inscribed by inflation in a mold, objects decorated with trails or appliques, medallions and fragments of gold glass, and objects with painted, reverse-painted, painted and gilded, or gilded decoration. Each catalog entry contains a detailed description, usually accompanied by a comment on the significance of the object and notes on similar pieces in other collections. Published by The Corning Museum of Glass.